Who likes to breathe? I hope everyone is raising their hand. Our breath is a force. It creates life within us. It connects us. Let's honor our breath with deep gratitude and by being fully present with it. Conscious breathing can change your perspective and quality of life. It did for me. Nadi Shodana - Alternate Nostril Breathing - This is a great breathing technique (pranayama practice) to help stimulate both sides of the brain and balance the right and left hemispheres of the body. It serves to balance energy as well as bringing focus and clarity to the mind. It will help to calm the mind and nervous system. Do this before meditation, before a presentation, before bed, before a difficult task or when feeling overwhelmed. 2-5 minutes, works like a gem. Here is some background information. The brain has two hemispheres – right and left – that are connected by a structure called the corpus callosum which is a bridge between the both sides. The left brain controls the right side of the body and the right brain controls the left. Typically we shift between the right and left brain dominance throughout the day, around every 60-90 minutes. This correlates with one nostril breathing freely and more open while the other is partially constricted. Let's try this...Close your eyes, focus on the breathing from the nostrils - Can you notice which one is dominant? Put a timer on for 60-90 minutes and do the same exercise and feel it switch. According to which half of the brain is dominant, a person's energy, state of mind and mood are affected. In addition, hemispheric dominance is associated with particular types of activity such as logical thinking (left brain) or innovation (right brain). Information can be transferred between the left and right brains through increased activity across the corpus callosum where there will be a shift from hemispheric dominance to synchronization and balance within the brain. Albert Einstein and the famed psychic healer Edgar Cayce were said to have unusually large corpous callosum. Traditionally, the thumb & ring finger are used to block nostrils. The index & middle fingers rest between the eyebrows or vishnu mudra (pictured above - where the index finder & middle finger rest at the base of the thumb) If the hands get in the way of your practice, simply block your nostrils as you can. Block right nostril. Exhale left. Inhale left. Block left. Exhale right. Inhale right. Block right. Exhale left. Inhale left. Continue, alternating nostrils with each exhalation. Breathe smoothly & steadily. Remain relaxed & calm. Practice up to 5 minutes. Being aware and mindful is not a place we end up at. Its a moment to moment observation of pleasant and unpleasant sensations intertwined within our bodies and minds, creating the perspective of how we experience our lives. It’s a practice. Breathe into your belly through your diaphragm. 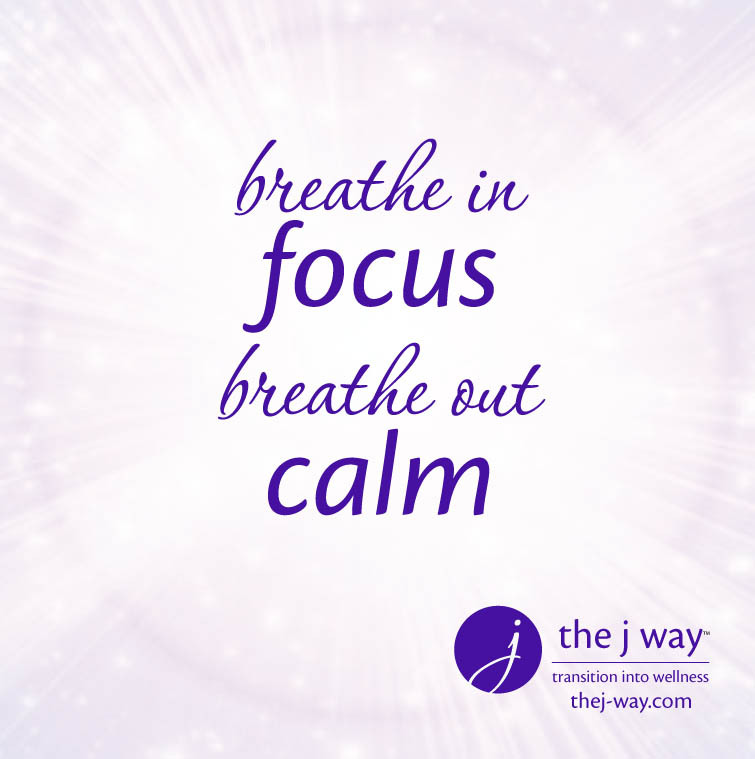 As you inhale and exhale doing the alternate nostril breathing repeat/affirm to yourself: Inhale "I AM FOCUSED" exhale "I AM CALM"